In stock. Order in the next 7 hours, 53 minutes and it will go out today! 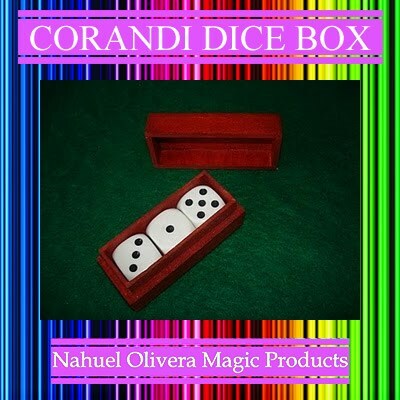 The performer has a small wooden box containing three dice inside. It is here where you ask a spectator to freely select one of them. At that time, the magician takes the dice chosen, and clearly shows that inside the box have been only two dice. Then the performer covers the box, making the die selected by the spectator, and after making a magic pass, the die away from your hands!. But it does not end there, when you open the box, the die is back into it!. Finally, the performer gives to inspect all items.